This page is for listing items to sell, buy or trade. All listings should be items of a musical nature: music, musical instruments, organ shoes, pianos, organs, recordings, etc. I will not post items offering puppies, goldfish or kittens, no matter how musical you claim they are. 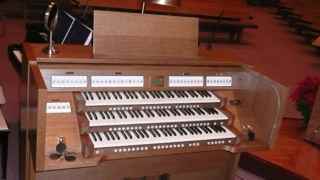 DISCLAIMER: The American Guild of Organists -- Milwaukee Chapter makes no warranty or recommendations concerning any item listed here, its condition or suitability, and is not responsible for any misrepresentation, misunderstanding or any payment complications. This page exists solely as a courtesy to our members and the Chapter assumes no responsibility for anything posted here beyond placing the post. The chapter receives no remuneration in any form either in currency or services from items listed here. Submissions to: chapter@agomilwaukee.org Please include the word "Marketplace" in the subject-line of your Email. We ask that, as a courtesy, you Email us and ask that the post be removed if the item is no longer available. Make sure you include complete contact information. A few may be wondering why these are up for sale, and why at these prices. Simple: I am uncluttering my life; and I am not, have not been, nor ever will be, Erik Routley, J. S. Bach, Virgil, Biggs, or even Wheelock (got to face facts someday). Look on the bright side: When I turn back into the light, I'll probably be calling you to buy back my books, and you can probably sell most of these to me or someone else at a profit. Any way you look at it, my loss is your gain! *Negotiate, or buy the whole list for $75.00! Watch these ads for Hymnals and other neat stuff to come. 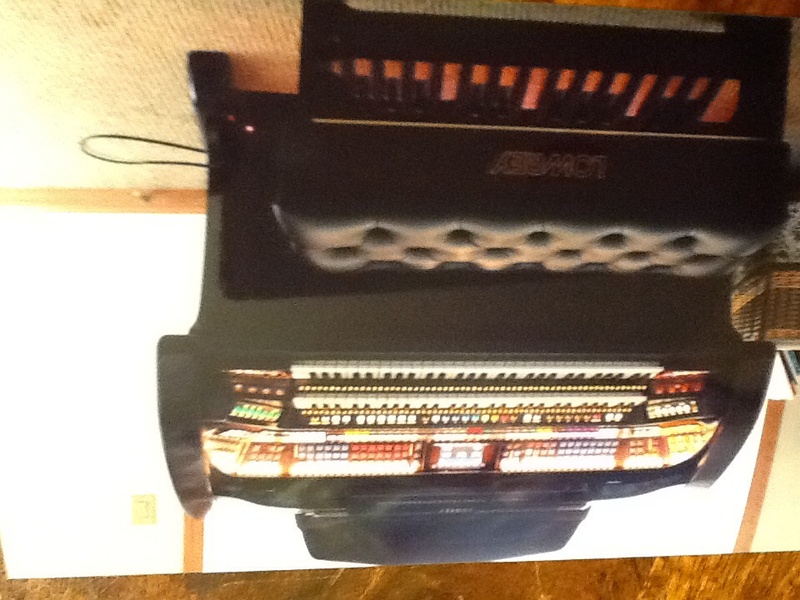 I am trying to help my uncle find a home for his wife's organ. It was purchased in 2008 new and it was only used a few times due to his wife becoming very ill right after they made the purchase. It is a beautiful cherry wood. They purchased it for $79995.00 and we are looking for offers as he knows he will never use it and it is in mint condition and needs a new home that will enjoy it! He also has 100's of music sheets to go with it. I found your connection through our local school and church music director here in Whitewater, WI. If u know of anyone or any church that might have interest please feel free to pass this info on to them. I can be reached at 262.903.1364. N.B. -- I know this photo is up-side-down. The original is not and it is not on my computer and I have re-uploaded it twice and some bug in the program seems to insist on it being upside down. If you click the image to enlarge it opens correctly. I cannot explain this. I suggest you download and look at it on your computer where you can flip it if necessary.